Over Park is one of the central 2 cottages in our converted Victorian barn. Named after one of the fields that surrounds the barn you can enjoy the countryside while relaxing in a well equipped holiday cottage. Over Park is an ‘upside down’ cottage. With sleeping downstairs and living areas upstairs. This is allows guests to take full advantage of the beautiful countryside views that surround the cottage. Upstairs is a kitchen/lounge/diner with wood-burner, dishwasher, smart TV, Blu ray player and CD stereo system. 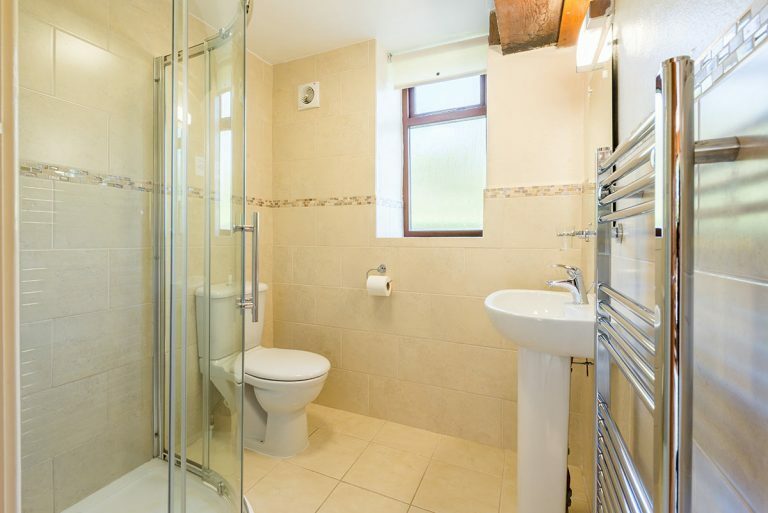 Downstairs is split into a double and twin bedroom with a family shower room. We have all had a great time staying here! Lovely cottage in a quiet and peaceful area. Plenty of beautiful places to visit just a short drive away. Would recommend this cottage to anyone.